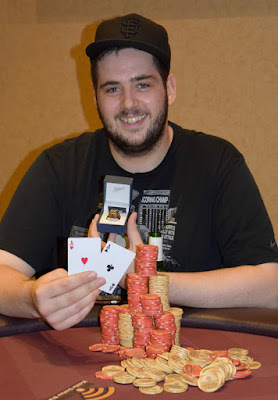 @BrettMurray555 takes down @WSOP Circuit @Thunder_Valley Casino Champion title with a win, a 2nd, 6th, 7th and 10th place finishes in the 12 Circuit Ring events this series. For his win, Murray earns an entry in the invitation-only WSOP Global Championship with a guaranteed $1 Million Prize Pool. Here's his Circuit Thunder Valley poker resume for the series. Randy Gil - with a 2nd and two 5th-place finishes, is the runner-up, with Al Sanchez (1st, 6th, 10th) finishing third.